Every season begins with a set of objectives which various clubs set to reach for themselves at the end of the season, and players are the cornerstone upon which those expectations are built upon. Funds (sometimes running into hundreds of millions) are usually expended on getting the players seen as the ideal fit to help clubs reach their objectives, and fans are usually giddy with excitement every time a new player arrives their club. These new players are expected to blend in with the more experienced ones at the club to deliver the goods come the end of the season, and huge amounts are paid weekly to such players to keep them motivated (with footballers being among the highest paid professionals in any field in the world). However, this only happens in an ideal world, but in the real world of top level professional football, the reality is that more often than not, mnarquee players fail to live up to expectations, with multiple factors such as injuries or fallouts with managers quickly eroding the confidence fans reposed in them and they have to sometimes suffer the ignomy of being dropped to the bench. 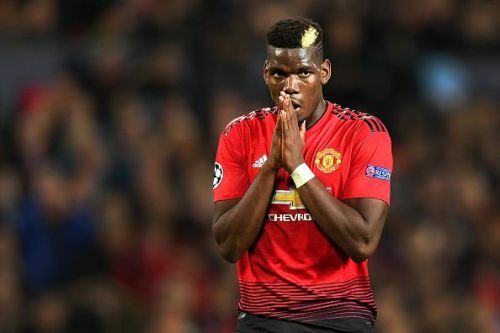 This season has been no exception, as big clubs such as Manchester United, Real Madrid and Bayern Munich struggling to reach heights of yesteryears and their players have been major culprits, as they have flat out failed to match expectations placed on them. As we approach the midway point of the European season, we take a look at six players who have been the most disappointing thus far. 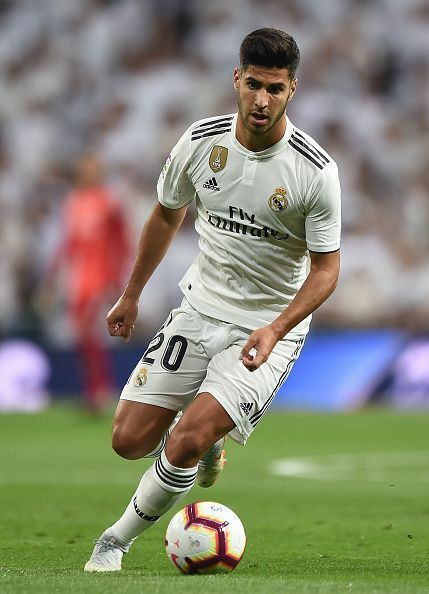 Marco Asensio announced himself in the 2016/2017 season, putting in some fine performances as an impact substitute throughout Real's La Liga and UCL winning campaign, including scoring a goal off the bench in the final against Juventus. He took his stock a notch higher when he scored two wonder goals against Barcelona in the 2018 Spanish Super Cup and was earmarked as a future talent owing to his incredible shooting skill and link-up ability. He however had his chances limited due to the presence of Ronaldo in the team, as the Portuguese also operated from his preferred role on the left and was always going to be the one picked of the pair. Ronaldo's departure in the summer paved the way for Asensio to become a starter and he was earmarked as one of the players upon which the club would build post-Ronaldo. However, six months down the line and it has not worked out exactly to plan for Real and Asensio. The club embarked on a terrible run of form earlier in the season where they went on their worst ever scoring run which led to the dismissal of Lopetegui and Asensio was singled out as one of the players responsible for Madrid's slump. Since Solari's appointment, things have not improved much for Marco Asensio and he has been dropped to the bench in recent matches, with the highly impressive Vinicius staking a claim for his starting place. Earlier last week, the 22-year-old came out to state that it was not his responsibility to carry the team and that it was the job of more experienced players to do so which was seen as a damning indictment on his mentality and willingness to take on responsibilities in addition to his poor returns. In 24 matches in all competitions this season, Asensio has scored just four goals (with three of those coming in Copa del Rey matches against much inferior opposition). The 22-year-old has just one La Liga goal in 16 matches, and has not scored since getting the lone goal in the 1-0 victory over Espanyol, while his last assist came on the opening day of the campaign. These are not numbers expected from Asensio after getting improved playing time and while nobody expected him to hit the heights of Ronaldo, nobody expected it to be this bad either.